Artificial Intelligence is the next wave of opportunity in the global financial sector. 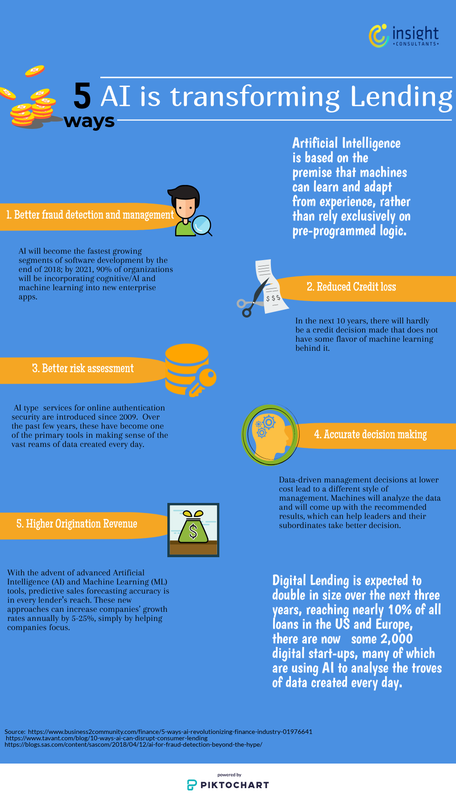 AI has come to play an integral role in many phases of the lending arena, from approving loans, to managing assets, to assessing risks. 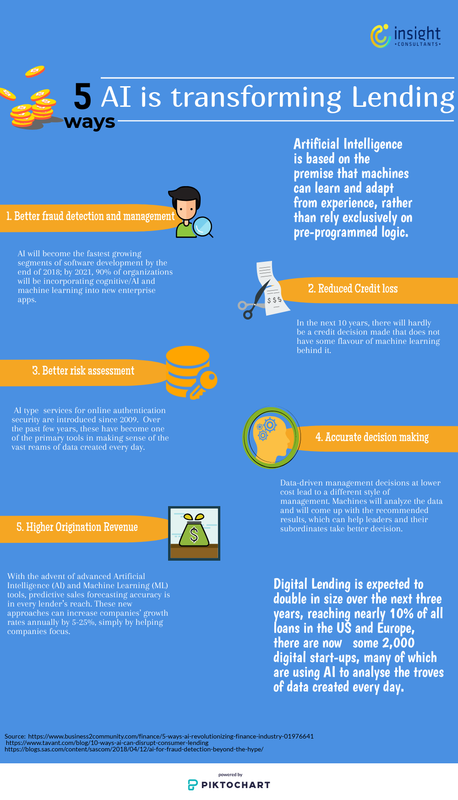 This info-graphic describes some of the ways that this technology is taking the consumer lending industry by storm.